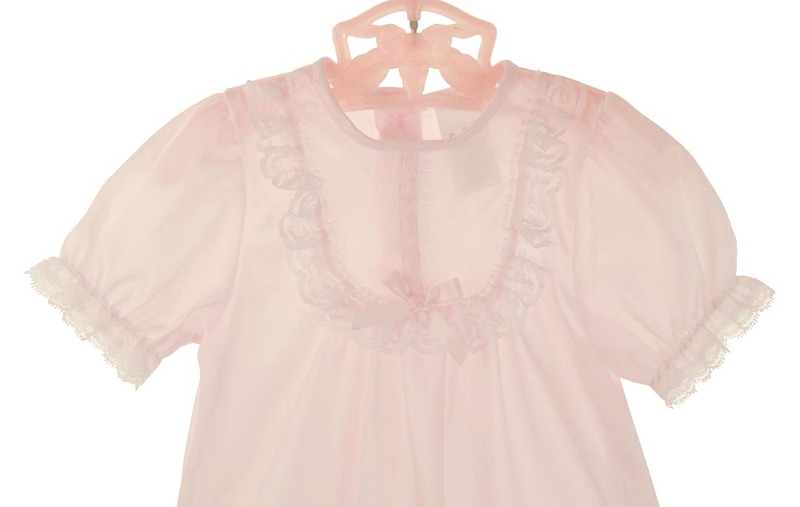 Yes, they do still make old fashioned nightgowns for babies, toddlers, and little girls! 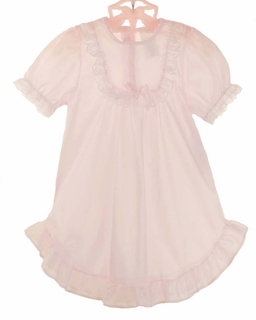 Here's the most adorable ruffly soft nylon pale pink nightgown for year round wear! Matching footed pajamas and newborn gown are also available. Gown is available with long sleeves (see below). Size 6-9 months shoulder width=8"
Attic has a wonderful selection of nightgowns and pajamas for your baby, toddler, little boy or little girl, including matching brother-sister Christmas pajamas, for all the little ones in your family. We also have the largest selection of infant daygowns you'll find. Be sure to see all our darling pajamas, nightgowns, and baby daygowns.